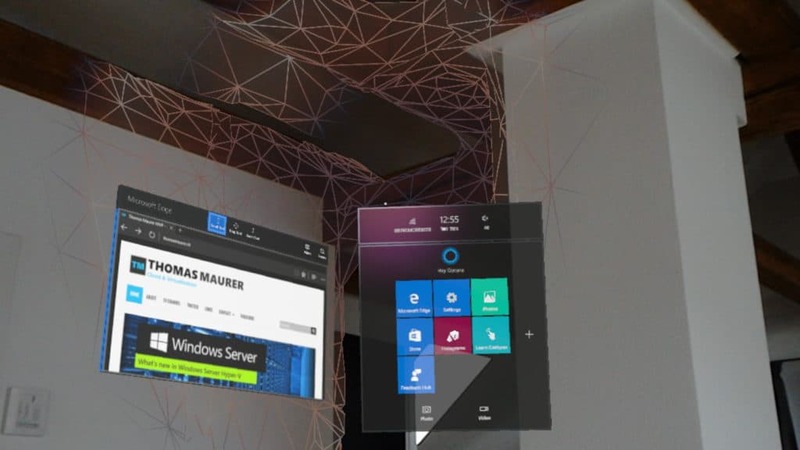 A while back Microsoft announced the Microsoft HoloLens and Windows 10 Holographic, which allows you to work with holograms. 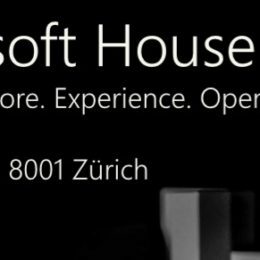 Last week my HoloLens finally arrived at my door step. And I had the chance to play with it a little bit over the weekend. 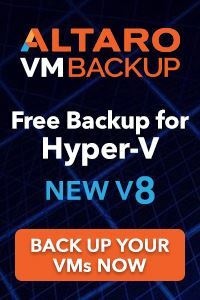 I already had the chance to try it the first time a couple of weeks ago when I was speaking at the ITPro.ru event in Cluj. 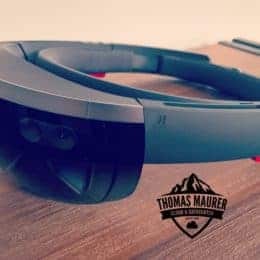 But since then Microsoft released a bigger update to HoloLens with some new feature like Bluethooth keyboard pairing, better voice commands, app improvements and much more. 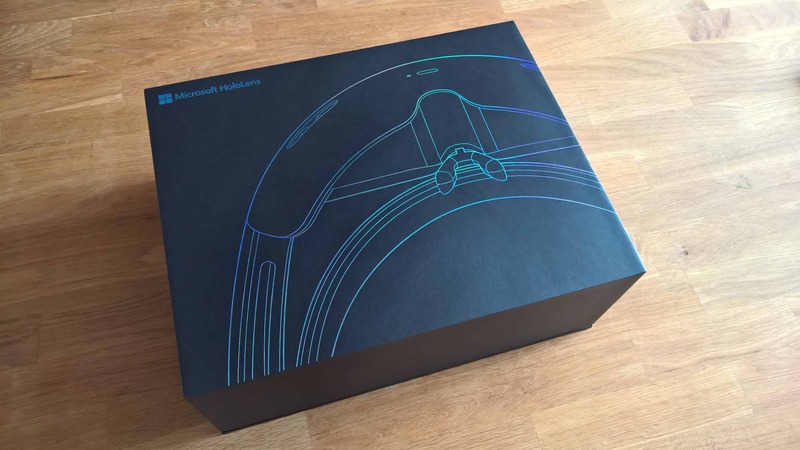 The Microsoft HoloLens comes in a nice designed and large box with good quality. Basically what you can expect from a premium device which is not that cheap. You also get the HoloLens Clicker which you can pair with your HoloLens to click on things instead of using the click gesture. I was quite surprised that the getting started guide only shows how you wear it and how you turn it on and off, but to be honest, that is all you need since the first setup and calibration experience is very easy, self-explaining and very nice designed. 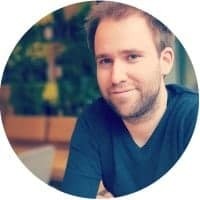 To be honest, since this was the developer edition of HoloLens and it was still one of the first devices and software versions released to the public, I expected thing to be much more difficult and unstable. 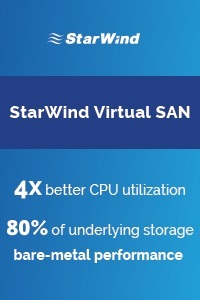 But already this release for me seems to be pretty good and usable. Even my mum and my dad, which are not really computer nerds, had no problems using it after only a couple of minutes. 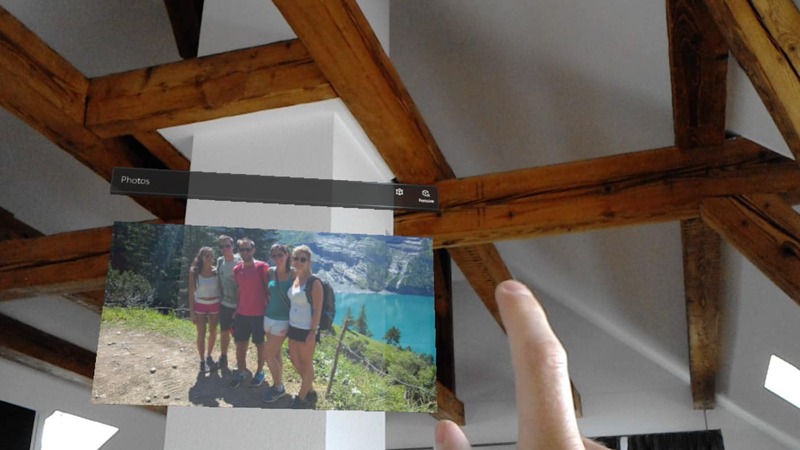 To use it you simply look at things, use hand gestures, voice commands or paired Bluetooth devices for input. 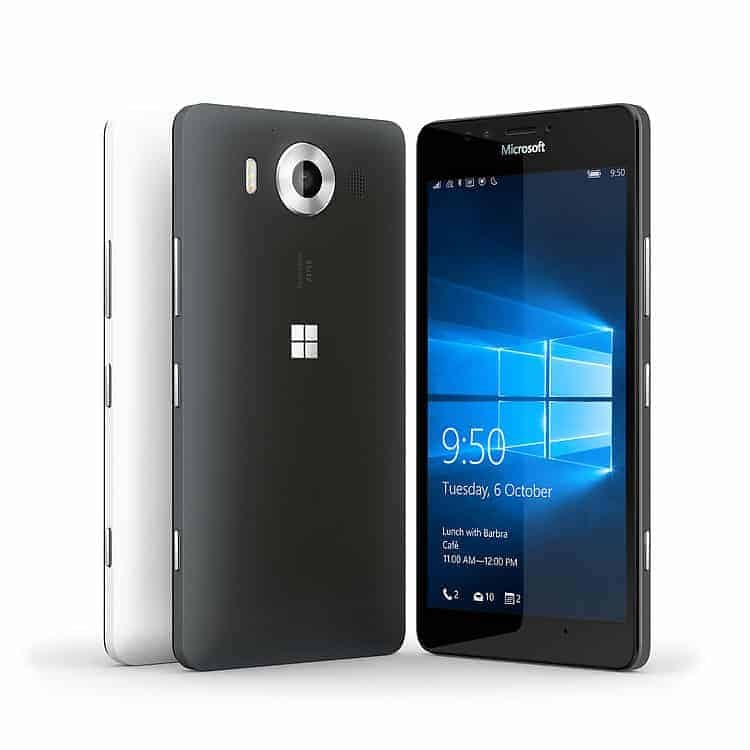 Especially the voice command and the gestures were working without any problems, things are recognized instantly and with no lag or misbehavior. With the bloom gesture you can get a holographic start menu where you can find all the apps and Cortana, you can simply start an app by tapping on it. After that the app starts as a new hologram and you can first place it somewhere in the room. 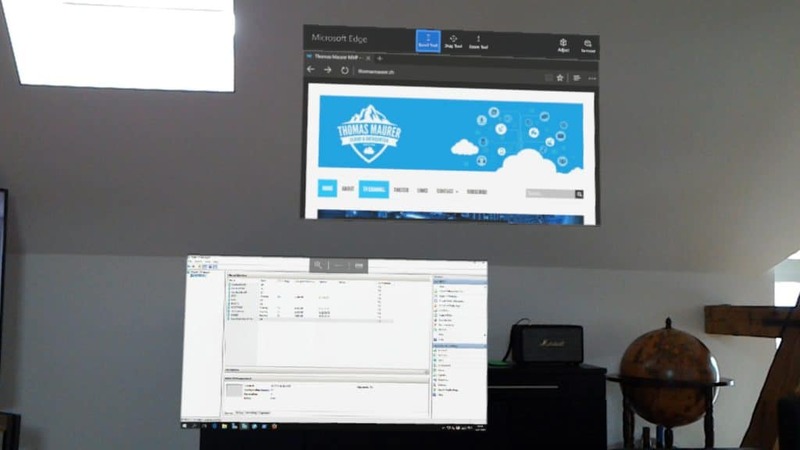 You can also size it and make sure it is at the right place, for example if you want to pin your Microsoft Edge Browser or pictures to the wall. You get some default apps but you can also get some apps from the Windows Store. For me I downloaded the Mail and Calendar app and the Remote Desktop App. 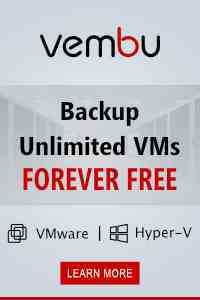 This allows me to manage my Hyper-V Servers directly from a hologram. The view is surprisingly good, even the pictures I made to not really show this quality, but when you wear it the resolution and sharpness etc. are not really a problem. One of the things you will notices is that the windows you can really see holograms is smaller than your normal viewing angle. So for example if a hologram is on the right edge of your view you can’t see it. But to be honest you get used to this very quickly. 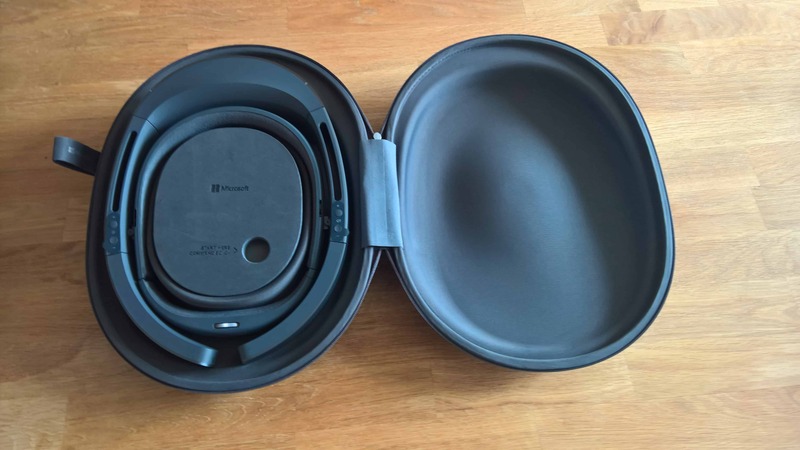 So this was a quick summary of my first impressions of the Microsoft HoloLens. I have to be honest, I didn’t expect it to work that good. 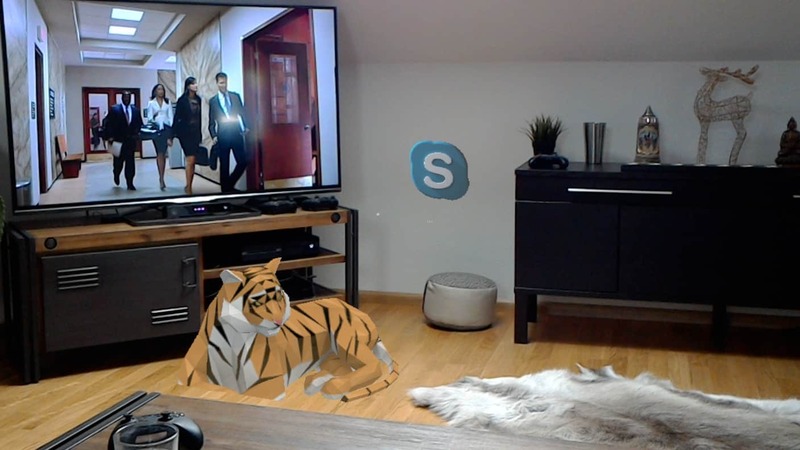 Microsoft HoloLens really works like Microsoft is advertising it. It is not just a crazy prototype device anymore, it is real. 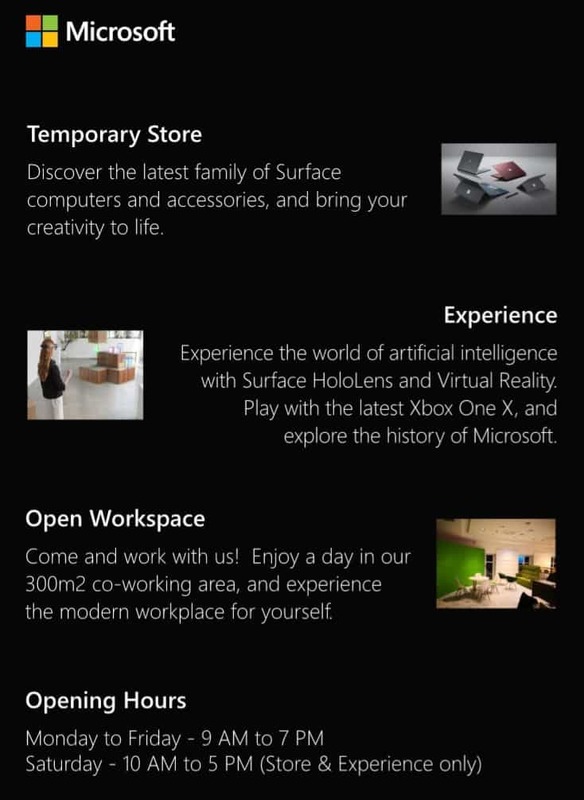 And I really can’t wait to see what developers do with the possibly Microsoft HoloLens offers to them. 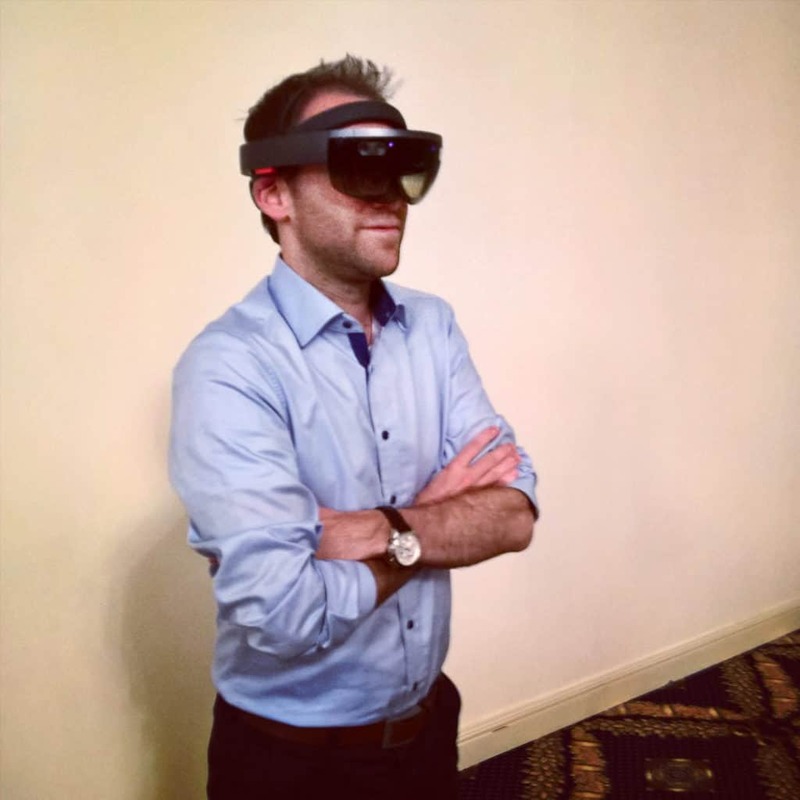 First they showed HoloLens and showed how gaming could look like with HoloLens. Microsoft announced that, the HoloLens Development Editions will be available in Q1 2016 for $3000. 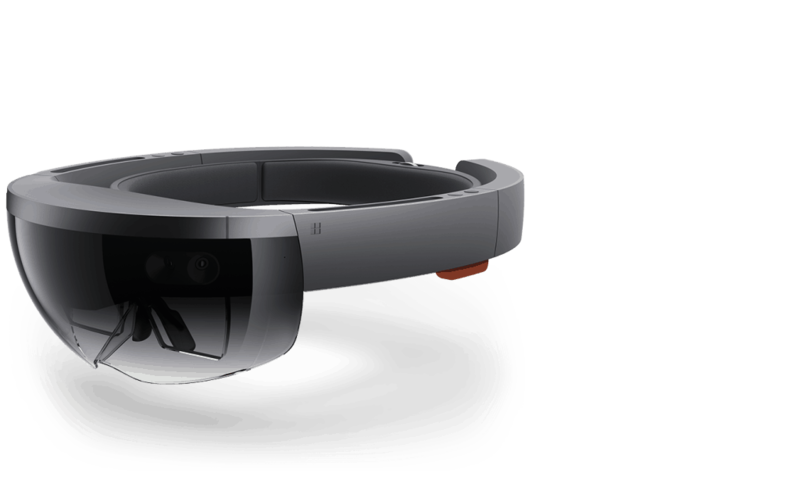 Developers can now apply for their HoloLens Developer Editions. Next up, Microsoft showed the new version of the Microsoft Band, which will be connected to Microsoft Health. 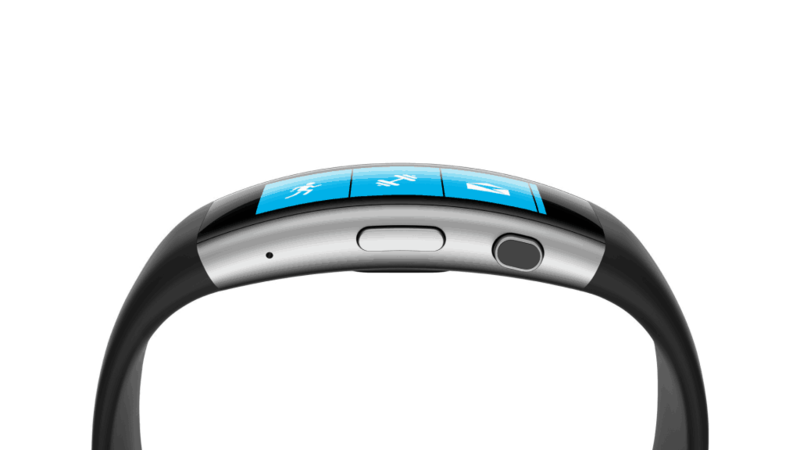 The new Microsoft Band 2 comes with a new curved and improved AMOLED screen, it has a battery life of 48 hours, is charged in 1.5 hours and has all the great features the first version of the Microsoft Band already had, like activity tracking, sleep tracking, notifications, GPS and much more. It now also comes with barometer and Cortana integration. 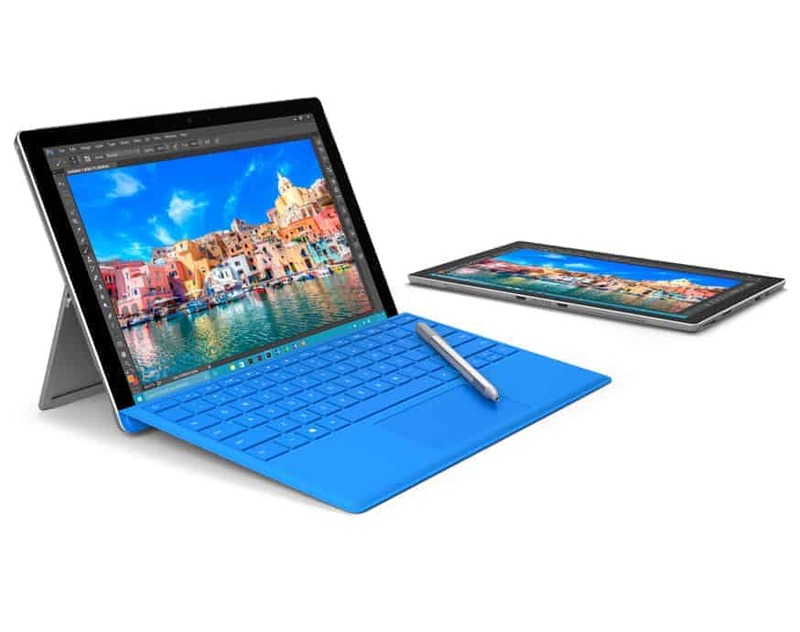 Microsoft announced the successor of the Surface Pro 3. The new Surface Pro 4 has kind of the same dimension as the Surface Pro 3 but comes with a 12.3” PixelSense display has extremely high contrast and low glare, giving you a picture rivaling real life. It is not only more powerful and lighter than ever before at 1.69lbs (766 grams) and with with a 6th Gen Intel® Core™ M3, i5, and i7 processors, it’s also quieter and runs cooler than ever before. It will also support a new pen and display technology which is called PixelSense. Along with the Surface Pro 4, Microsoft also announced the Surface Pro 4 Type Cover in two versions, one without fingerprint reader and one with a fingerprint reader which can be used with the Surface Pro 3. The new Type Cover should have highly improved keys and a larger trackpad. It is also backlit and it is lighter and thinner than the last version. Surface Dock instantly transforms your ultraportable Surface into a desktop PC. Simply plug in the SurfaceConnect cable to charge your device and access external monitors, a keyboard, mouse, and more. With two high-definition video ports, a gigabit Ethernet port, four USB 3.0 ports, and an audio output, you have all the connections you need. It also works with the Surface Pro 3 and the SurfaceBook. The “one more thing” Microsoft announced today and which really surprised everybody was the Surface Book. The Surface Bookisthe first full laptop has arrived in the Surface family. 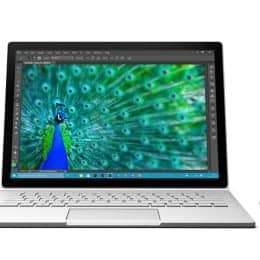 Surface Book is a powerful laptop with a full sized, backlit keyboard for fast and natural typing. The 13.5” PixelSense display detaches easily from the keyboard to become a thin, light tablet that works perfectly with OneNote and Surface Pen. Turn the screen around and reattach it to use Surface Book like a creative canvas. By reconnecting it to the keyboard, you unlock its full creative power in a pen first mode. 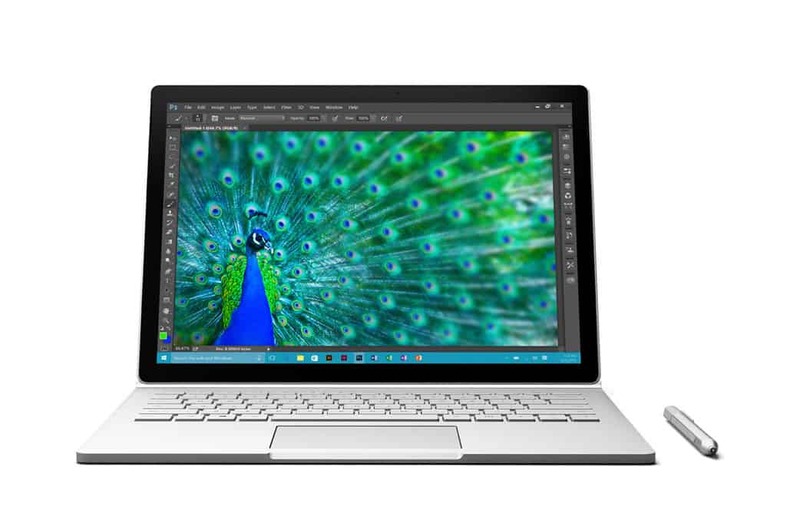 Surface Book is built to be a creative workhorse. Combining a 6th Gen Intel Core i5 or i7 processor with up to 16GB of memory and an optional discrete graphics chip. 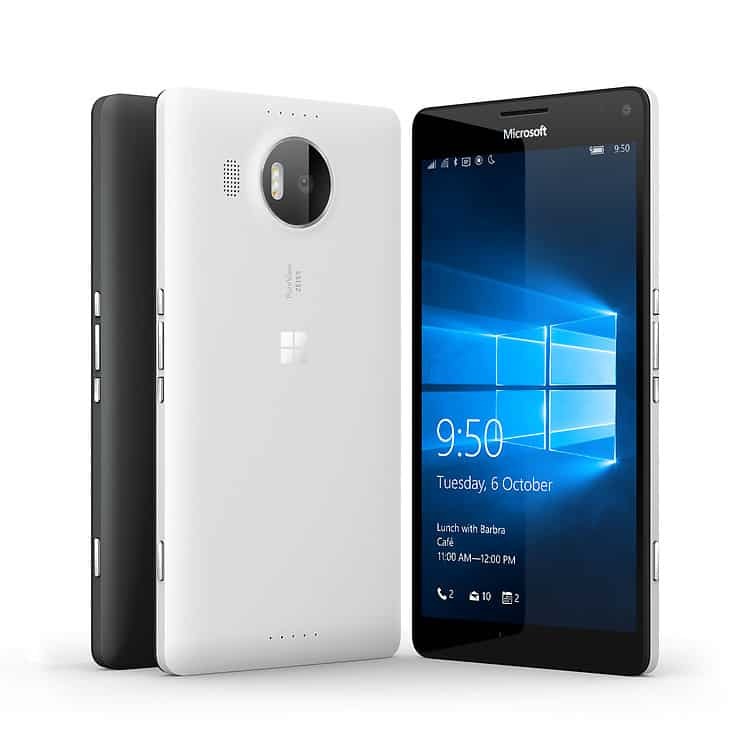 As far as I can see there is a lot of good feedback and Microsoft really announced some great devices.